Your local firm of Chartered Surveyors covering Hoddesdon is Hoddesdon Surveyors, led by Kevin Alderman MRICS Reg Val. 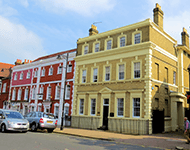 Kevin specialises in surveys of residential property and valuation, advice on party wall matters and advice on residential lease extensions. Kevin has worked in the surveying industry since 1992 and is therefore well versed in the local property market and draws on a wealth of experience in his work. Kevin will provide you with no obligation initial advice. If you're too far away to make viewing properties practical, Kevin can carry out a 'Viewing Inspection' on your behalf and provide you with a comprehensive bank of photos and short report to ensure you make the right choice. Hoddesdon Surveyors is a trading name of Alderman Surveying Services a regulated firm of the Royal Institution of Chartered Surveyors. 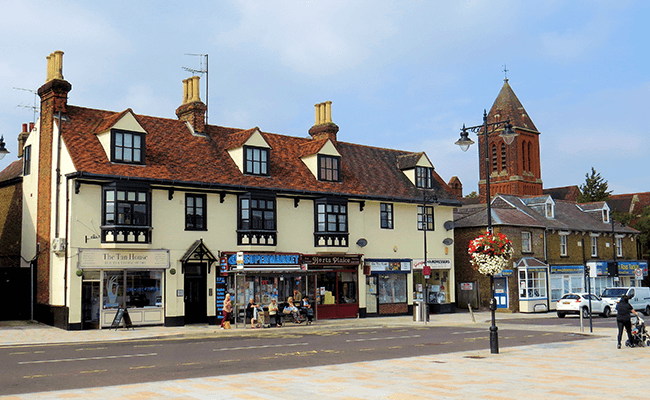 Hoddesdon is divided from its neighbour Broxbourne by a small tributary of the River Lea called Spital Brook. Hoddesdon expanded during the reign of Elizabeth I when many inns were built for the travellers between London and Cambridge. The White Swan in Hoddesdon High Street is a Grade II* listed Tudor building.